Roger Underwood’s new book titled “Fire from the Sky” is now available. Fire from the Sky provides a valuable account of the development and early implementation of aerial burning in Western Australia. Fighting fire with fire (burning forest fuels under mild weather conditions) has long been recognised as the only effective means of combatting fierce and damaging bushfires. In his book, Roger explains (in simple terms) the rationale for prescribed burning, and the history of its adoption in Western Australia. Later this technology was adopted by foresters and bushfire authorities throughout Australia and in many overseas countries. 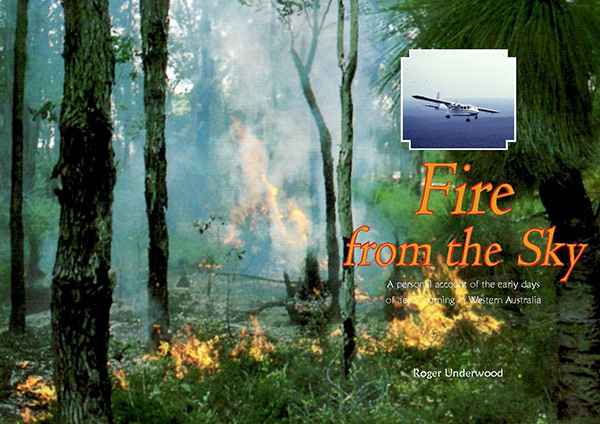 This is the story of how aerial burning was developed and of the people who did it. Roger Underwood is a former District and Regional Forester in Western Australia and the author of several books on forestry and bushfire history.